Two Great Ways to Shop with GEMS4U! but is very affordable and friendly! We will wrap your personal crystals & stones! Many Raw specimens for sale in store. NEW!! Sea Glass From Around The World! and 5 charms - Only $20.! Thousands of charms to choose from! We have stainless steel engraved charms also! length in-store and while you wait! necklaces, pendants and handmade Cords! 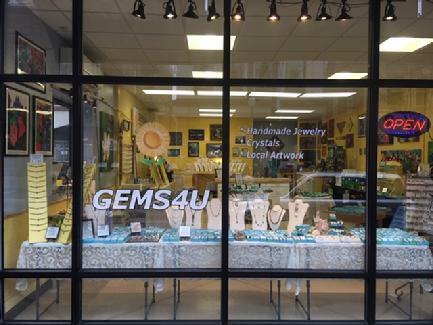 GEMS4U also repairs and designs beaded jewelry. Visit us while you wait for your table!